IT services and solutions company Infinite today announced it has been recognized as a market rising star in digital business transformation services by Information Services Group (ISG). According to ISG, Infinite is among the leading providers in Digital Transformation as a Service, Digital Transformation Platforms, and Blockchain as a Service. Infinite, an IT services and solutions company, today announced it has been recognized as a market rising star in digital business transformation services by Information Services Group (ISG), a leading global technology research and advisory firm. According to the ISG Provider Lens™ Quadrant Report – Digital Business Transformation, U.S. 2019, Infinite is among the leading providers in Digital Transformation as a Service, Digital Transformation Platforms, and Blockchain as a Service. “Infinite is proud to be recognized as a leader in the Digital Transformation space. It validates our approach to where the marketplace is heading and how we are positioned. Our goal is to use Digital Transformation as a path to help our customers become the technology companies they want to be,” said Anjana Arora, Infinite’s senior vice president of market strategy. The ISG Provider Lens™ Quadrant Report – Digital Business Transformation, U.S. 2019 evaluates the capabilities of 45 U.S. providers across seven quadrants: Enabling the Customer Journey, Digital Enterprise Operations, Digital Transformational Platforms (PaaS), Digital Transformational Services (XaaS), Digital Product Creation and Customization, Digital Continuous Delivery, and Blockchain as a Service. The ISG Provider Lens series of reports draws insights on service provider capabilities from focused surveys, briefings, interviews with providers, input from ISG advisors, ISG benchmarking data, and data drawn from the ISG Contracts Knowledgebase™ and ISG Engagement Database™. The series is a complement to the ISG Provider Lens Archetype reports, which offer a first-of-its-kind evaluation of providers from the perspective of specific buyer types. Infinite provides custom IT-based business process solutions, next-gen mobility solutions, and digital transformation and product engineering services that specialize in the Healthcare, Banking & Finance, Telecommunications & Technology, and Media & Publishing industries. 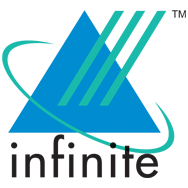 Infinite’s solutions build on proprietary industrial frameworks that significantly reduce work effort and cost while providing faster go-to-market speeds and nimble responses to market dynamics – a complete suite of services we call Platformization™. For more information, visit http://www.infinite.com.